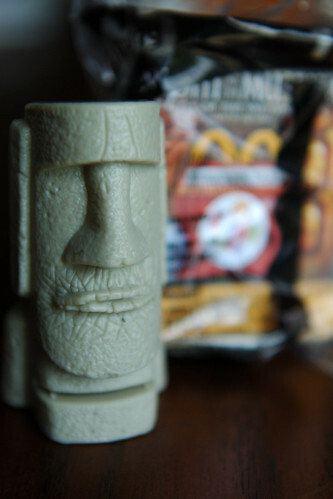 The power of marketing - the Easter Island statue - today's Happy Meal Toy. "Dum, Dum, give me Gum, Gum"
Cameos by Darth Vader and Oscar the Grouch (oh, and George Foreman, too). Just some of elements from the newly released Night at the Museum 2 - Battle of the Smithsonian. A fun, family friendly movie that capped our day of mulch spreading, laundry and recitals. Yes, some of it is a bit contrived, but with gorgeous views of Washington, DC and the concept of bringing famous historical characters and art to life really makes the movie enjoyable. And it makes a visit to DC an absolute necessity next summer. We saw it last night and enjoyed it for the same reasons :) Be sure to let me know if you make it to DC (less then 2 hours from me) maybe we could have lunch!